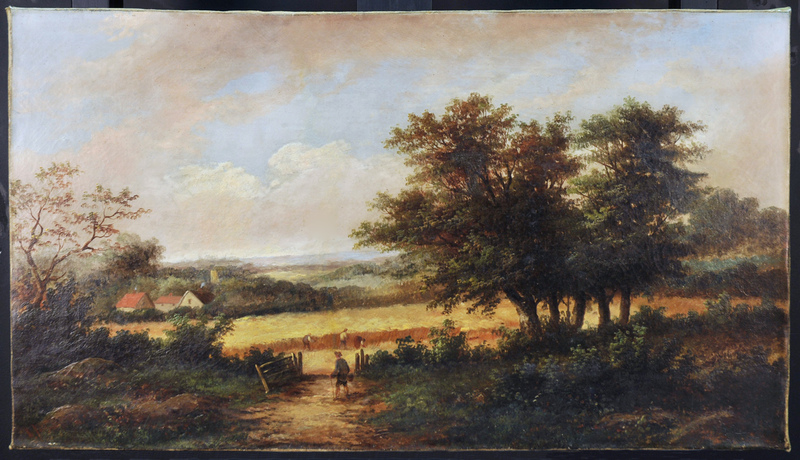 Plagued by heavy surface soil, flaking paint media, and an exceptionally large vertical tear through the center of the painting, this once idyllic portrait of the countryside required extensive restoration of both the canvas and the painted image. 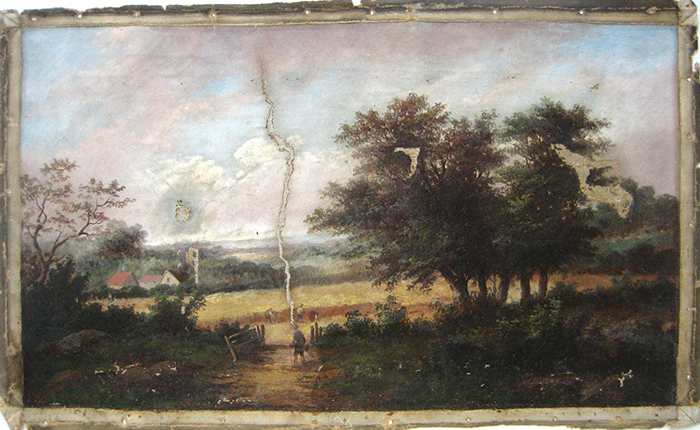 After mending and stabilizing the canvas support, the surface grime and varnish were removed, and the flaking paint media consolidated. 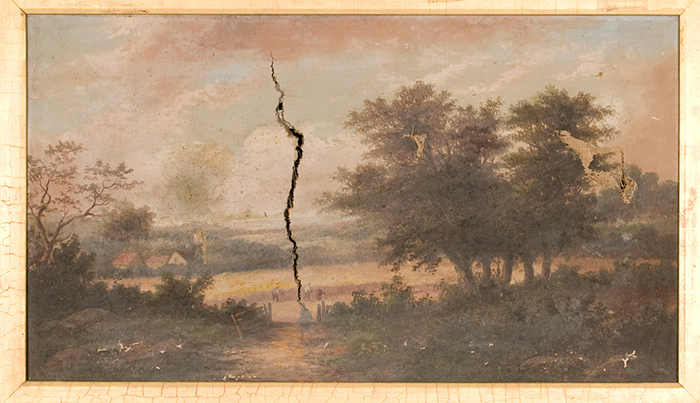 Large sections of media loss were in-filled and texturized before the painstaking process of inpainting began. The transformation is truly impressive!